The Angelman Syndrome Foundation (ASF) joins the international Angelman syndrome community in celebrating International Angelman Day on Sunday, Feb. 15 as ASF-funded research continues to make headway in identifying potential treatments for Angelman syndrome. Angelman syndrome is a severe, neurogenetic disorder related to and often misdiagnosed as autism and cerebral palsy that occurs during fetal development and lasts for a lifetime. 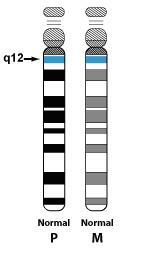 While there is no definitive count, it is estimated that Angelman syndrome occurs in one in every 15,000 live births. Most recently, ASF-funded research conducted by Dr. Art Beaudet—a prominent Angelman syndrome researcher—at Baylor College of Medicine continues to move closer towards potential clinical trials, a tremendous beacon of hope and promise for the Angelman syndrome community. Research in ongoing but pre-clinical trials in mice have proven that symptoms of Angelman syndrome can be reversed, though more testing is needed to determine exactly how the cognitive deficits associated with Angelman syndrome are recovered. 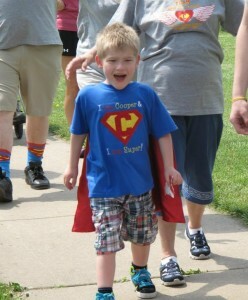 Individuals with Angelman syndrome experience a variety of symptoms, including severe developmental delays, speech impairments, walking and balance disorders, and frequent laughter and excitability, though symptoms vary from individual to individual. More than 80 percent of individuals with Angelman syndrome experience seizures, which can be life threatening. While research such as Dr. Beaudet’s and others’ has shown potential to reverse symptoms of Angelman syndrome, past ASF-funded research has already proven successful in reducing symptoms or their severity, including Dr. Ron Thibert’s low-glycemic index treatment for seizures conducted at Massachusetts General Hospital and Dr. Jane Summers’ research proving improvements in neurodevelopmental outcomes from behavioral intervention. ASF-funded research at the University of North Carolina-Chapel Hill, led by Dr. Ben Philpot and Dr. Mark Zylka, is also continuing to make headway in learning more about the Angelman syndrome gene, UBE3A, and how it interacts with an FDA-approved drug to potentially reverse symptoms. Their research also has implications for autism and chemotherapy treatments, as recently reported in the News & Observer in Raleigh, N.C. See additional promising ASF-funded research. Later this year, the ASF will be awarding its 2015 ASF Funded Research Grants, providing more than $1 million to Angelman syndrome researchers to further our understanding of Angelman syndrome with the ultimate goal of finding a cure. 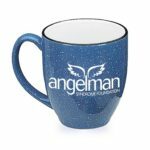 In honor of International Angelman Day on Feb. 15, the ASF is asking for “$15 for the 15th” specifically in support of Angelman syndrome research.